I have decided to start doing more polish reviews. I purchased these myself during a restock, so please understand they might not be available currently. These are three of six polishes I recently bought from Bear Pawlish. This will be a mini review, but I felt it would be nice to see something besides tons of subscription boxes! With flash. Pointer - Maleficent, Middle & Pinky - Poor Unfortunate Souls, Ring - Mahalo. 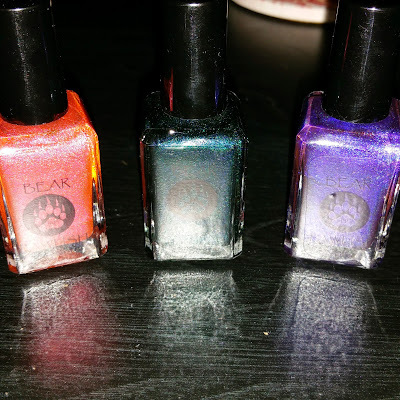 These are some really great holographic polishes. They all only took two coats to be fully opaque and leveled out super easily to a great finish. 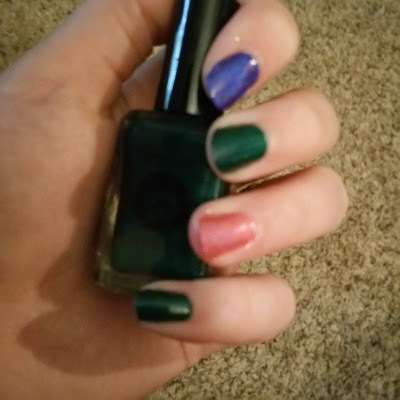 My favorite was Poor Unfortunate Souls, which is this amazing green/teal and the perfect color for me to wear daily forever! Maleficent was more blurple than I was hoping and expecting, so that was a bit of a disappointment. It's super pretty, just not a color that I normally would buy. Mahalo was this great light pink with just a hint of peach, and definitely a color I would use as an accent. 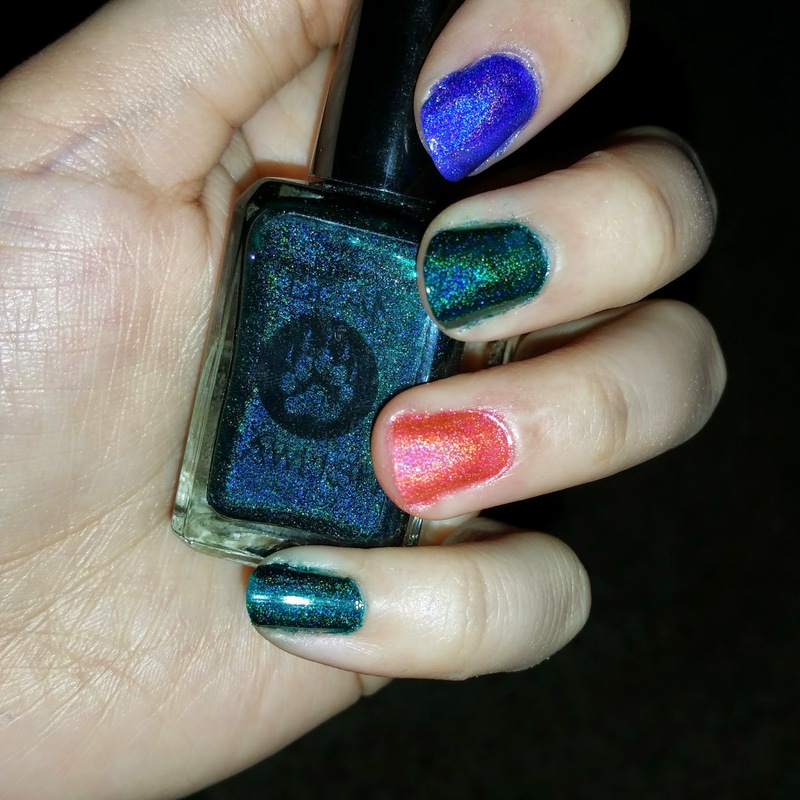 I will definitely be purchasing more polishes from Bear Pawlish and I suggest everyone trying them out at least once! As always, be sure to let me know what you think about it in the comments! Love your review of this polish brand! These colors will be great for Disney theme or Halloween party!